It drives me crazy, so I can’t imagine how the players directly impacted feel. Permian shale oil producers have drilled themselves into a major problem. Soaring Permian production has overwhelmed pipeline takeaway capacity in the region and that is taking a big bite out of Permian (Midland) oil prices. As I write this, the global price of oil (Brent Crude) is $76 per barrel. Meanwhile, Permian oil priced at Midland is selling for just $56 per barrel. That means producers receiving Midland pricing are leaving $20 per barrel on the table. Consider that it costs shale producers in the best parts of the Permian roughly $35 to produce a barrel of oil. At the global $76 per barrel price, that would net a Permian producer a profit of $41 per barrel. At the Permian $56 per barrel price the profit is only $21 per barrel. In other words, the $20 per barrel discount that Permian Basin oil sells for cuts the amount of cash flow that Permian producers can generate in half (from $41 per barrel down to $21 per barrel). That is a huge problem. Imagine the consequences if your income was chopped in half! Worse still, with no new significant pipeline capacity coming online until the end of 2019, it is a problem that isn’t going to go away any time soon. As you can imagine, the management teams at most of these Permian producers are down in the dumps about this discounted pricing. It has to sting watching OPEC get $20 per barrel more for their oil. Surprisingly, the one Permian producer who is least bothered by this discounted pricing is the producer with the largest amount of Permian production. On the surface, this $20 per barrel discounted selling price for Permian oil would seem to be horrible for OXY. With 300,000 barrels of daily production, Occidental will produce 109.5 million barrels in the Permian this year. A $20 per barrel discount on that equates to a $2.19 billion loss of revenue over the course of the year. Except not only is OXY not going to have to take this huge cut to revenue from the discounted oil price, but instead the company is going to make more money specifically because of the discounted Permian oil price. And I’m not talking about just a little bit more money. I’m talking about big dollars… billions. The reason that OXY doesn’t have to sweat the discounted Permian oil price is because the company was well prepared for it. While OXY has 300,000 barrels per day of Permian production, the company has almost 500,000 barrels per day of pipeline capacity. That allows OXY to not only get its 300,000 barrels out of the Permian to the Gulf Coast where it fetches better pricing, but it also allows OXY to sell the almost 200,000 of unused pipeline capacity that it has to the highest bidder. 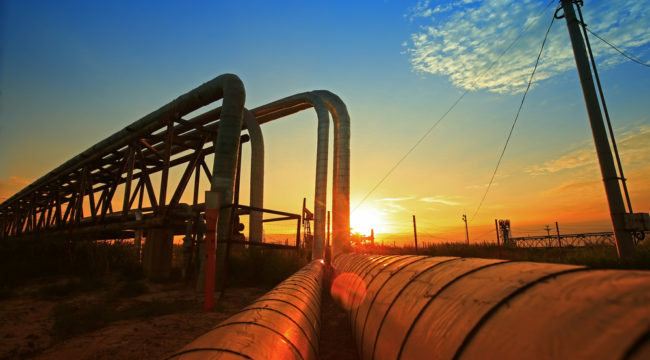 With an industry-wide shortage of pipeline capacity, that unused capacity is very valuable. Further, OXY also has control of a crude export terminal that allows the company to ship 300,000 barrels of American produced oil overseas where it can receive the full global price for the commodity. Occidental recently raised its cash flow guidance for 2018 by almost $1 billion due to the positive impact of this lower Permian oil price (wider differential to Brent pricing). That guidance is still very conservative in my opinion since it was based on a Permian oil discount that is only half of where it sits today. If actual results come in more along the lines of where the oil futures market believes pricing is headed, OXY is going to be at least $2 billion better off because of its excess pipeline capacity. With all of that incremental cash flow plus a 3.6% dividend for shareholders… talk about making the best out of a bad situation!